If you love the great outdoors and you haven’t passed through the Gem State yet, ask yourself: why not? The state’s nickname is rather appropriate as Idaho is indeed a hidden gem in terms of a tourist destination. From breathtaking stargazing and beautiful scenery to the endless array of activities for adventure-seekers to enjoy, the state offers something for everyone who wants to get closer to nature. Not to mention that Idaho is not a state completely overrun by out-of-towners. This quiet spot avoids the pitfalls of your traditional tourist traps, making it a sort of “best-kept secret” for nature lovers. And as such, Idaho is the perfect place to camp or plan an RV vacation. There are tons of traditional campgrounds located near the Oregon border; meanwhile, you can find RV rentals that’ll allow you to explore all of Idaho thanks to services like Outdoorsy. Either way, you’re still going to need some awesome activities to fill your itinerary, right? Thankfully, we’ve got you covered. Consider the following ways to spend your time in Idaho and get a bit closer to nature in the process. Oh, and while not a mountain per se, those checking out Heaven’s Gate should likewise make times for Hell’s Canyon, which offers a view of the country’s deepest river gorge. And yes, it’s most definitely worth checking out some of the top Ski resorts in Idaho if you’re interested in hitting the slopes. The state arguably has some of the best skiing in the country, minus the crowds. If you’re looking for something a bit less intense or you’re looking to unwind in nature, fear not. There are plenty of great hikes and trails to explore, many of which offer places to stop, snag a snapshot or take a quick rest. 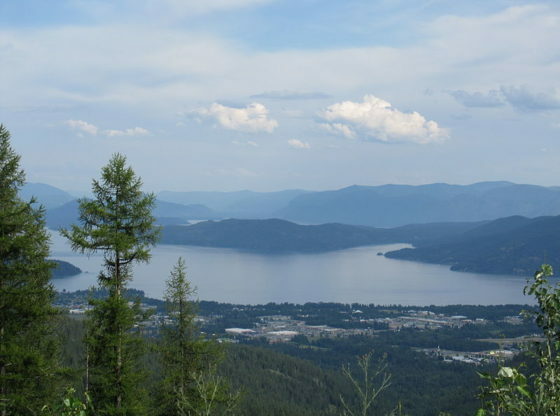 For example, the Upper Priest Lake Trail boasts an amazing scenic walk that takes you along the Canadian border (oh, and don’t miss the waterfalls along the way). Meanwhile, the City of Rocks National reserves has tons of varying trails and loops which allow you to come up with your own path while also admiring the local rock formations. Any given state park or mountain range has an accompanying trail: simply make sure that you do your homework so you don’t wear yourself out or end up with too difficult of a trek. For adventurers who aren’t quite ready for the slopes but still want to get their hearts racing, consider the opportunities to get on the water throughout Idaho. The Salmon, Payette and Selway river all offer one-of-kind whitewater rafting (the last of which is particularly reserved for true experts who aren’t afraid to take the plunge). Oh, and don’t forget about the fantastic fishing in Idaho, too. There’s plenty to catch including wild trout, salmon and catfish: simply make sure you’re following the proper rules and regulations of your respective body of water prior to casting a line. Perhaps one of the biggest benefits of visiting Idaho is the fact that the state is nestled between some absolutely amazing neighborhood of states for outdoorsy types. Want to trek out to Portland to see what’s going on in the Cascadia region? Interested in seeing the glory of Zion National Park to the south? Ready to cross the border into Canada? You’re in luck: you don’t have to travel far. Although Idaho may often be overlooked due to its neighbors, there’s no denying that its proximity to other outdoor must-sees makes it a smart place to pass through if nothing else. While you may not think of Idaho as a tourist hotspot, it’s a hidden gem for nature lovers who want to go off and the traditional beat and path to enjoy the outdoors. Regardless of how you get here or how long you wind up staying, make sure to at least consider Idaho for your next adventure!